As Varanasi is situated at the heart of this nation, candidates from all over India comes in this city to look for good coaching institutes and centres for the preparation of Central Armed Police Force. With the increasing number of applicants each year, CAPF has become a tough nut to crack. 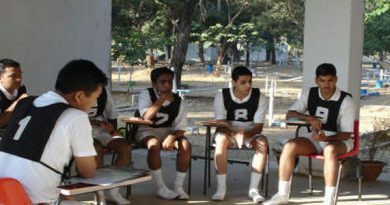 To prepare well, candidates do look for good coaching institutes and centres. The Central Armed Police Force or the CPF recruits Assistant Commandants (ACs) and it is conducted on a National Level by Union Public Service Commission. The opportunity of being an Officer with the Ministry of Home Affairs, under the Indian Police Services is every young aspirant’s dream. Central Police Forces does everything under the sun required for national security. Best CAPF Coaching should have a state of the art infrastructure facilities and top rated faculty, which should stand apart from rest. It should be best in India because of its impeccable success record. The institute should have Orientation Sessions with Daily, Weekly & Topic Wise Mock Tests along with numerous medical checkups and seminars to boost the confidence levels of the young aspirants and to help them crack the CAPF exams easily. All of these events should be the best in India. We have also initiated our own website that has a proper download section full of handy resources, Question Papers of past years, Central Armed Police Force’s e-Magazines and much more.